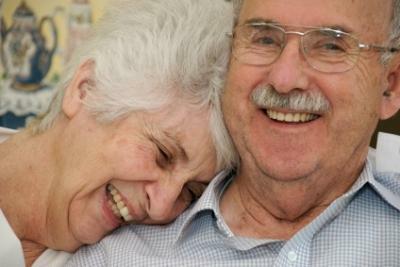 What are the characteristics of mature couples? Mature doesn't necessarily mean older, though sometimes maturity comes with age. All couples can work to become more mature, healthier couples regardless of how long they've been together. Learn seven of the characteristics that mature couples share including communication, forgiveness, acceptance and dependability. There are certain behaviors and attitudes that separate immature couples from mature couples. Some couples learn these skills only after many years of trial and error. For other couples, the skills come more naturally. All couples, however, can and should work to improve their relationships. Why settle for a mediocre relationship when a little effort can greatly enhance your intimacy and enjoyment of each other? The happiest couples all have strong communication skills in common. Talking about the weather, sports and what's on television is not real communication. Communicating is being open and sharing your hopes, dreams, fears, excitement, and uncertainty - the full range of emotions - with your partner. There is room for some privacy in a relationship of course, as your lover doesn't need to know everything. However, the more you keep from each other, the less satisfying your relationship is likely to be. Being able to forgive someone seems easy until it's put to the test. Can you forgive your partner if he or she hurts you? No one is perfect and, in a relationship, it's inevitable that someone will get hurt. How each person responds to this situation will affect the direction of the relationship. If the couple can genuinely apologize and forgive, then they will grow closer from the experience. Without forgiveness, a division is created between the couple that often worsens over time. One way that makes forgiveness easier to achieve is by accepting your partner's imperfections. Immature couples are usually trying to change each other. Small changes are possible, but for the most part, you can't change someone. Mature couples realize this and learn to accept things about their partner that may have at one time bothered him or her. Great couples will go a step further and celebrate their differences. Trust is a very important part of any relationship. Trust must be earned, and it's earned by being dependable. When you tell your partner that you will do something, try your best to deliver on your promise. Being consistently dependable like this brings stability to a relationship. Dependability also enhances your communication with each other. When a dependable partner says, "I love you," those words have greater significance compared to an undependable partner saying the same thing. Many people focus entirely on themselves and do whatever benefits them the most. This philosophy can actually harm a relationship. A mature couple thinks of the relationship as "we" instead of "I." When you think of your relationship in these terms, it becomes much easier to make sacrifices. For example, what if your partner is offered a job in another state and this job pays far more than the current job? That is great news for him or her, but it means you have to quit your job. If you view your relationship as two independent people, then you are unlikely to be excited for your partner. However, change your view to "we" and you'll come to understand how sacrificing your job for the sake of your partner is beneficial for your relationship. Mature couples are secure enough in their relationship to allow the other person plenty of space. This means they don't need to spend every waking moment with each other. It also means that when apart, the couple won't begin to question if the relationship is still healthy. The couple knows that a night out with the guys or girls is normal and necessary. Immature couples sometimes assume that great relationships require little or no effort to maintain. This is simply not true. Mature couples, on the other hand, know that their relationship requires maintenance in order to remain strong. Throw out whatever romantic notions you have and realize that work is required for two people to remain in love. By striving to meet these ideals, couples can improve their relationships and enjoy many long and satisfying years to come.